The largest of the Society Islands in French Polynesia, Tahiti held a magical attraction for artist Paul Gauguin and writer Robert Louis Stevenson. 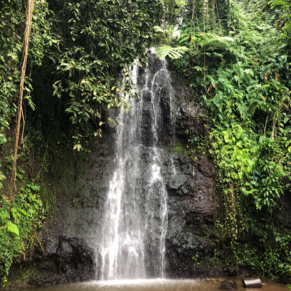 To understand why, simply listen to the winds whistling through casuarina trees on a secluded black-sand beach, or stroll through beautiful botanical gardens and marvel at island flora. Go to the day markets and the night food trucks. If you have the late night flight out, there is a restaurant just up the hill from the airport with a blue roof called Oceans that has great Chinese food with a local twist. It was delicious and a huge meal. We didn't do the hotel stay through the PG, but just checked our luggage at the airport for $9 per bag, and walked to the Intercontinental to spend the day there by the pool free of charge. 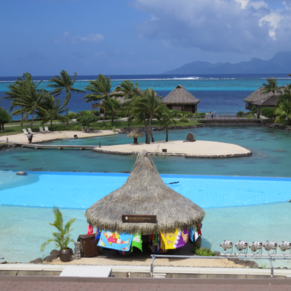 The IC is pretty touristy but a pretty view of Moorea and a nicer place to spend the day than the airport. Drove around the east coast stopping at Point Venus. Then took a panoramic drive through valleys, stopping at viewpoints.Ate lunch at Gauguin's Resturant in the South. Visitwed the Spring Garden of Vaipahi. Stopped at Parpara Surf Beach. Drov3e back along the west coast. We actually stayed on Tahiti for a whole week and enjoyed it immensely. 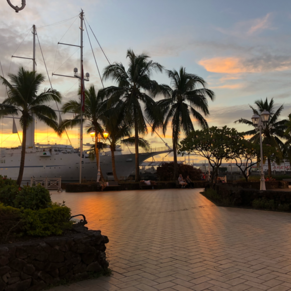 Papeete is the more modern spot in the island chain and has bigger buildings, but it’s also an island with a lot of smaller villages and Tahiti-iti on the end. We walked a lot, drove everywhere we possibly could go, and even took the ferry with our rental car over to Moorea. We will definitely go back to Tahiti one day. Despite benefiting from millions of Euros from the EU, Papeete and the Tahitian Islands still seemed a little underwhelming. The ship docks in the centre of the city and it is easily accessible. Pleasant enough to visit for a beer or coffee but unremarkable otherwise. The people were warm and welcoming and that will be the abiding memory. PS avoid the tour to the ocean bore-hole, expensive and slated by all on the coach. We got to Papeete in a Tropical Storm. We mostly shopped due to the weather. English speakers are plentiful. 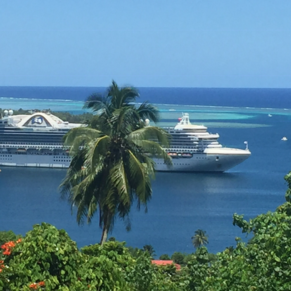 3 of 7 shore excursions in Papeete, Tahiti. There are currently 2 discussions about Papeete, Tahiti.